Ravensburg is a picture-perfect Medieval town. Castle Hohenzollern in Baden-Wurttemerg, Germany. Lake Constance is in the spa region of southwest Germany. You may be surprised to learn that the one lament we heard over and over again from locals, guides and shop owners in Baden-Wurttemburg was, “We don’t get a lot of Americans here.” We may have found Europe’s ideal undiscovered vacation destination. Baden-Wurttemburg, also known as Swabia, is a cultural and historic region in southwestern Germany that includes the mysterious and dense Black Forest; the stunningly preserved Medieval city of Ravensburg; the inviting, natural beauty of Lake Constance and Lake Titisee; the spectacular gardens of the Isle of Mainau; and a rich assortment of fairy-tale castles and villages. The lack of large numbers of American tourists does not mean that the people of Swabia are unprepared for those who do come to visit. English is spoken in most places and the Swabian people are extremely welcoming and patient. Southwest Germany is home to numerous family-oriented resorts and spas and the region is an automobile lover’s dream. The city of Stuttgart serves as home to both the Mercedes-Benz-Museum and Porsche Museum. Aviation enthusiasts will love the Zeppelin Museum Friedrichshafen and its to-scale reproduction of the passenger lounge and cabins of the famed Hindenberg — you can even take a flight in a zeppelin for an aerial view of the region. Because Swabia is a vacation destination for German families throughout the country, a trip here allows visitors to experience the region like a local. My 13 year-old daughter Daelyn and I were most taken with the city of Ravensburg, the Lake Titisee Region, the Lake Constance spa Therme Überlingen, and the castles Hohenzollern and Waldburg. Walking the streets of Ravensburg, “the city of towers and gates’, travelers are enveloped in the wonderfully preserved history of this place; a picture-perfect medieval city of red-tiled roofs, cobblestone streets and watch towers that once served as lookouts against fire and invasion. At the town’s center is the tower Blasterum. Climb to the top and enjoy sweeping views of the the main square,winding streets and alleyways, and the distant Swiss Alps. 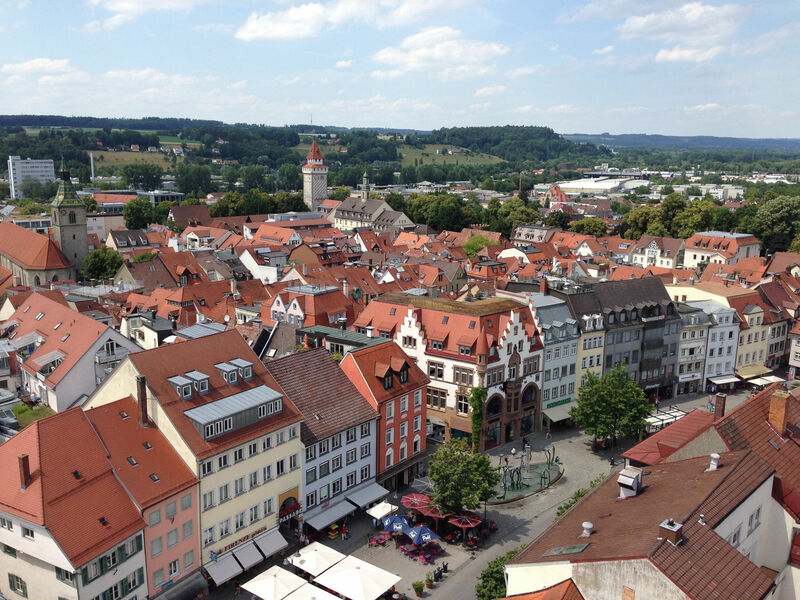 Ravensburg is nestled between Lake Constance and Allgaeu and was once a major, medieval commercial center that is today the economic hub of Upper Swabia with a unemployment rate of under 2%. Throughout the long and storied history of this town, its residents have not erased the past, but embraced and incorporated it into their lives. Everywhere you look, the medieval coexists beautifully with the present. If you have kids, you will be familiar with Ravensburger puzzles and games, and their interactive museum in the city is a must-visit for traveling families. The museum is housed in a 1,000-square-meter, medieval patrician building in the heart of the city. Children can walk through life-sized puzzles, play classic games with characters and themes that range from Thomas the Train to The Hobbit and enjoy story time and shopping. 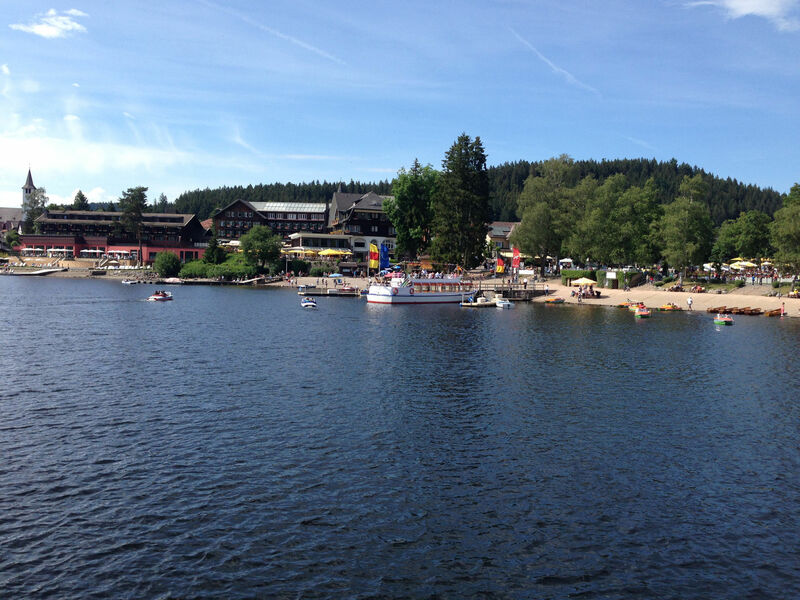 During our visit to the Upper Black Forest we spent some time on the captivating Lake Titisee. The lake offers wide, spectacular vistas of the forest from the water and hiking trails. Cruise boats are available to hire and they make a number of stops along the way. Our boat took us directly to the dock of the eclectic and charming boutique Hotel Alemannenhof where we relaxed on their lake-view patio while gorging on rich, heaping slabs of traditional Black Forest cake. The hotel is a charming mix of the historic and modern and the expansive outdoor terrace offers relaxing views of this idyllic setting. A great place to stop and enjoy the surroundings. If your visit to Swabia includes the Lake Constance region, the Bodensee-Therme spa in Überlingen allows visitors an opportunity to relax and play just like the locals. A favorite of Germans from the region and beyond, the spa offers thermal outdoor and indoor pools, a family slide, a parents and child area, and the chance to take a bracing dip in the tranquil Lake Constance. Parents can arrange an individual “well-being” program that includes underwater music and light projections in the hot springs while the kids enjoy the 90-meter tire slide. The spa grounds include the Sea Blockhouses Sauna (where you can rejuvenate your skin and mind with a “honey infusion”), a traditional Japanese Sauna, sun-bathing on the banks of Lake Constance, the Relaxation House, and wonderful indoor and outdoor restaurant/cafes. Bodensee-Therme is open year round and entrance and sauna fees are surprisingly affordable with prices ranging from €9 to €21. We visited two excellent sites; The Hohenzollern Castle and Castle Waldburg. The neo-Gothic Hohenzollern is the what kids imagine when reading stories and fairy tales. It is the ancestral seat of the Prussian Royal House and of the Hohenzollern Princes, up to and including the current “residents” (actually, they only visit every now and again) Georg Friedrich Prince of Prussia and Sophie Princess of Prussia. 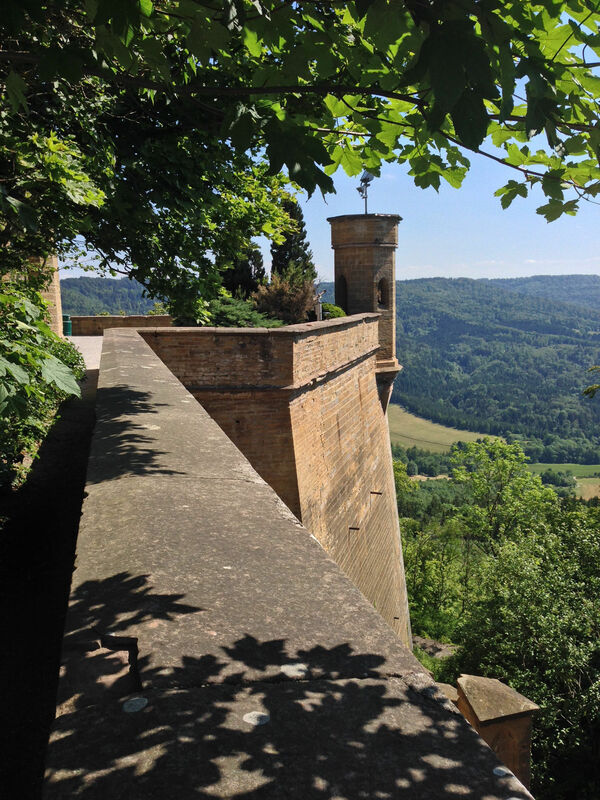 Accessible by car, bus and train from Stuttgart, Hohenzollern is perched atop a mountain with breathtaking views of the surrounding countryside. The current castle dates from 1454, but over the years it fell to ruins until 1819 when Crown Prince Frederick William of Prussia had the house reconstructed. The castle tour is excellent and begins by handing out royal robes to the children while everyone slips on massive, felt slippers over their shoes to protect the floors as you stroll throughout. The castle treasury includes a a wide variety of historical items and treasures from the snuff boxes of Frederick the Great to the Prussian Royal crown. There is also a wonderful collection of armor and weapons. A highlight of the Hohenzollern tour is a walk through the dungeons hewn from the stone foundation beneath the castle. The castle’s keep has plenty of places to sit and take it all in and a charming cafe for snacks and drinks. A definite must visit. For those looking for a more “authentic” castle visit, Castle Waldburg is the traditionalists’ castle. Dating from the 12th century and constructed on a steep hill that is the highest point of Oberschwaben, the castle’s upper deck affords sweeping vistas of the distant Alps. Children can make flat breads in the kitchen’s fire burning stoves and their baked goods are then served with a traditional, medieval soup to all the tour participants. The kids are then taken inside the castle hall where they can costume themselves as peasants, jesters, and princesses while shooting replica, suction-cup, crossbow arrows before beginning a tour of the entire castle including the observation deck, kitchens, bedrooms, the richly-paneled renaissance Knight’s hall, and the chapel. 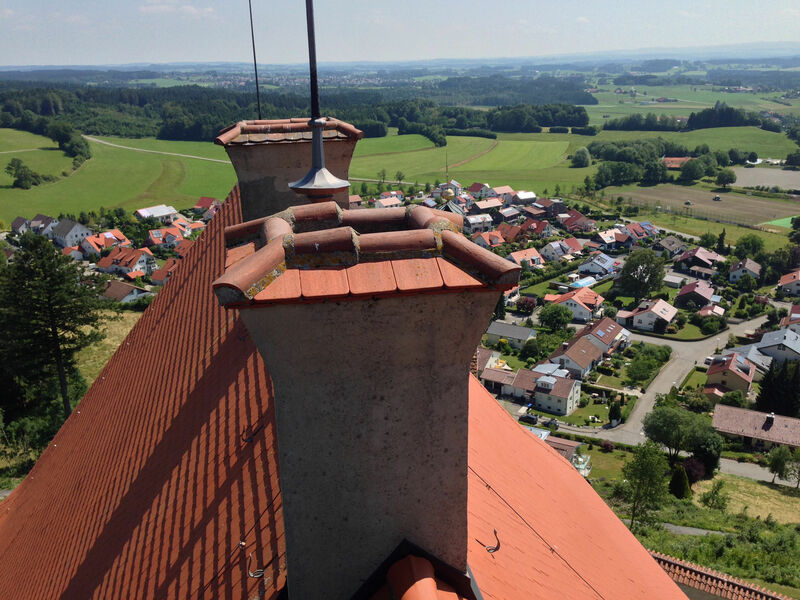 After touring Waldburg, visitors can hike surrounding trails and roads, the hilltop castle ever-visible in the distance, and imagine what it might have been like for medieval travelers who happened upon this wonderful fortress.